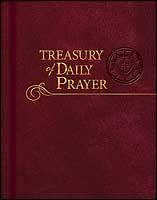 As examination copies and excerpts of Treasury of Daily Prayer begin to circulate, I am receiving interesting questions about how decisions where made that effected what appears in the Treasury. This will be the first attempt to set out some of the editorial rational, thinking, and background behind the Treasury project. If these short white papers don’t quite answer the question you had, or the information sparks a new question, drop me a note and I will see what I can do to get you an answer. The first piece to put in place was the general criteria for picking and evaluating material for the Daily Propers. These broadest strokes are the spheres of influence. In the confines that we call a “Day” there can be several spheres of influence that direct and govern how the components were chosen and put together. The largest sphere of influence in a Day is also the key component: the appointed lectionary from Lutheran Service Book (LSB) Daily Lectionary. This was the first component to be put in place. “The confidence is not in the praying heart but in the promises of God. In his classic little study of prayer, Dietrich Bonhoeffer writes, ‘The richness of the Word of God ought to determine our prayer, not the poverty of our heart.’ The human heart, that cesspool of sin and unbelief, is hardly the fountain from which the aroma of sweet-smelling prayer arises. Indeed the Prophet Jeremiah says ‘The heart is deceitful above all things, and is desperately wicked; who can know it?’ (Jeremiah 17:9). Christian prayer is not based on the instincts of the heart, instincts that by there very nature rob us of the fear, love, and trust in God above all things. Instead, our Lord invites us to pray in His name, that is, on the basis of good and gracious will and His sure promises” (Pless). 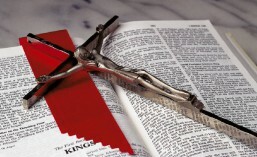 Like the Gospel reading in the Service of the Word or the Verba in the Service of the Sacrament, the appointed readings are the high point of the Day, and the reason for our doing of Treasury of Daily Prayer – to hear the Word of God. As much as possible, then, the lectionary shaped how all the other components were chosen. Nothing supplants the readings appointed for any Day. The next largest sphere of influence is the sanctoral calendar. Feasts, Festivals, and Commemorations, when they occur are to be observed through the remaining components. A sphere of only slightly diminished influence follows, that is the seasons of the Church Year and the associated Sundays. While it is in (only) broad sweeps that the Church Year seasons may be reflected in the readings, the seasonal themes as well as specific themes should certainly be considered in constructing and choosing components. NEXT: The Lectionary Committee shapes a Daily Lectionary and a prayer book. This entry was posted in Books, Post, Treasury of Daily Prayer and tagged Christian life, prayer. Bookmark the permalink.